Lack of adequate car park space is preventing tour buses from stopping in the West Limerick town of Abbeyfeale, a local councillor has claimed. Sinn Fein Cllr Seamus Brown is calling for more investment in Abbeyfeale, ranked a the fifth worst economic preforming town in Ireland in the 2014 Teagasc report. The report which examined the performance of 302 town in Ireland found that Abbeyfeale, along with Rathkeale were severely affected by the recession. A gateway town to Kerry, there is ample opportunity for Abbeyfeale to expand into the tourism sector, according to Cllr Browne, however, he believes few tour busses can stop in the town due to lack of parking. 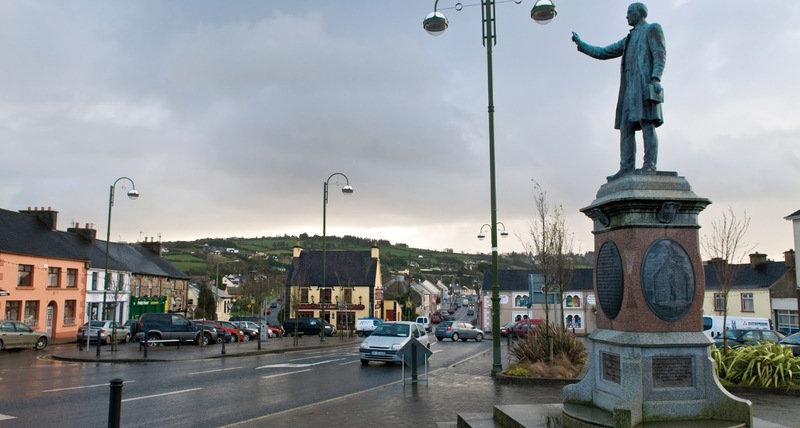 “But Abbeyfeale needs investment, we need to improve the appearance of the town. If we were able for places for tour coaches to stop it would be great for the town. It’s a scenic area, with lots to offer for tourists,” he continued. Cllr Browne admits Abbeyfeale has its problems, but believes the town could also benefit from the €250m ‘Limerick 2030 – An Economic and Spatial Plan for Limerick’ which he said has the potential to deliver 5,000 new jobs. The plan aims to transform Limerick city centre, its economy, and the way it is marketed as an ideal location for investment over the next 17 years. “We have lower income levels compared to other towns such as Killarney or Newcastlewest, but we have a young population,” Cllr Browne added.